Good morning and welcome back. Stocks are rockin' this morning on the back of the latest "Brexit" vote, which shows the "stay" camp appears to be gaining traction. The question, of course, is if the early ramp will last as the vote across the pond doesn't happen until the 23rd. So, while we've got some time let's jump in and do our weekly review of the state of the market and our major market indicators/models. The short-term Trend & Breadth indicator is currently negative, but a big pop today would likely reverse it back to neutral. Since 2007, the negative and neutral modes for the T&B model has actually been more profitable due to the propensity for the market to V-Bottom. 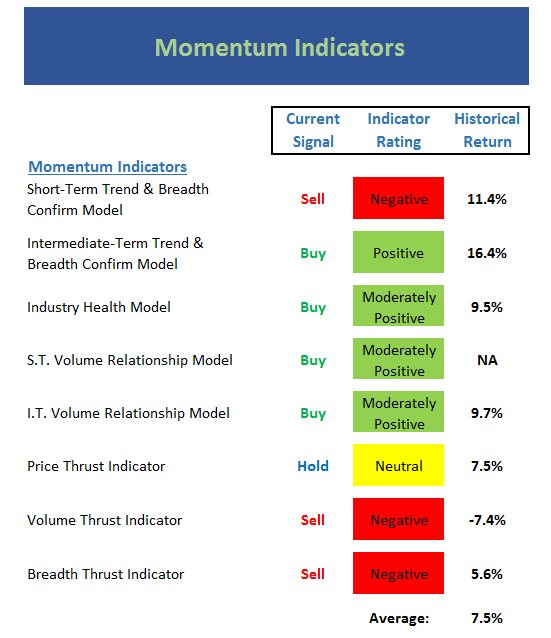 As such, what were once considered "momentum" indicators now tend to be solid "mean reversion" signals. The overall rating of the board is neutral. But it could perk up with a Brexit failure. This board is also mixed. But again, this could easily change with just a little price improvement. 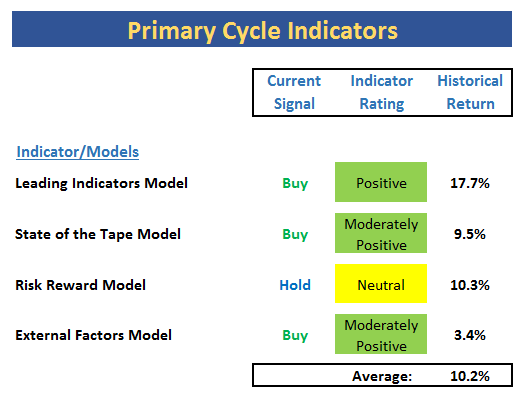 The positive here is the more important indicator boxes remain green. The bottom line is there is little real momentum at this time. But important that Bears haven't been able to do much with their recent opportunity. 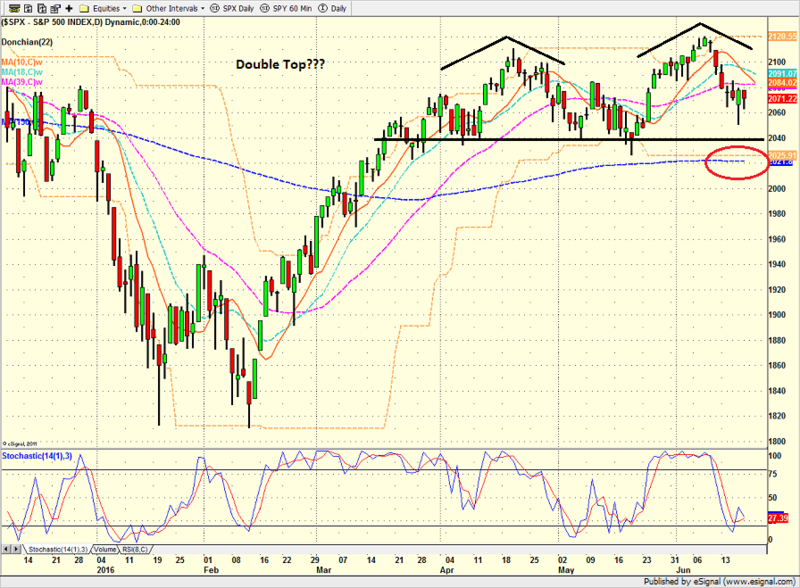 Stocks are oversold from short-term perspective. 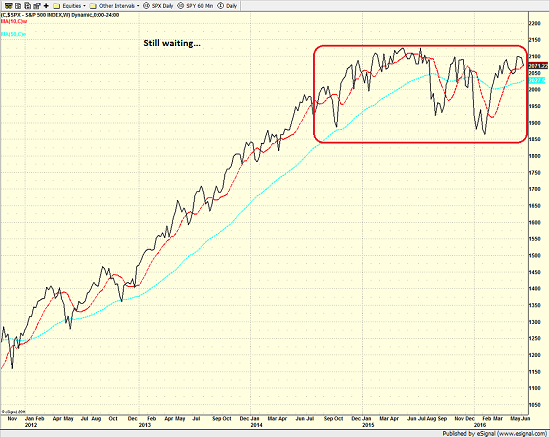 Stocks are modestly oversold from intermediate-term perspective. 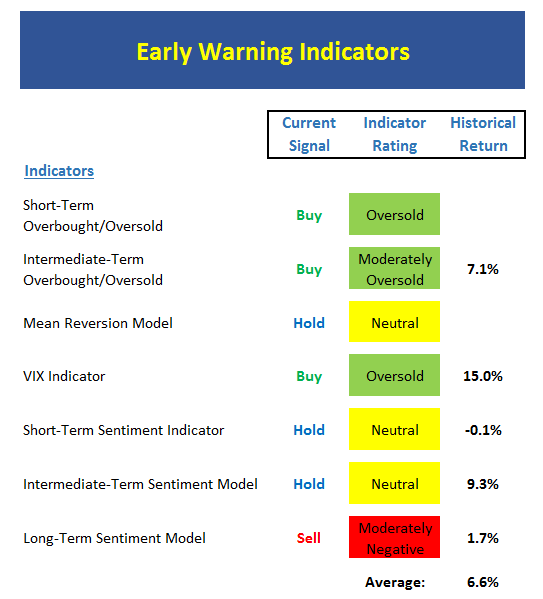 Sentiment indicators did not reach overly negative levels. So, no "fat pitch" buy signal at this time from an early-warning standpoint. 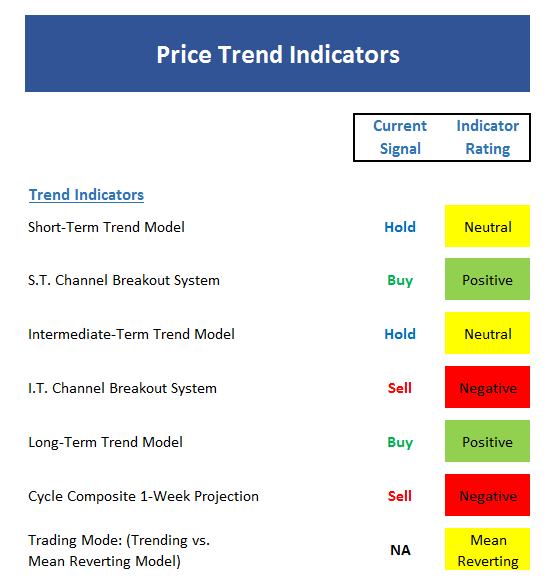 But these indicators do suggest that the odds do favor the bulls in near-term. Both monetary models have upticked a bit over the past week. The Absolute Monetary model is now moderately positive. 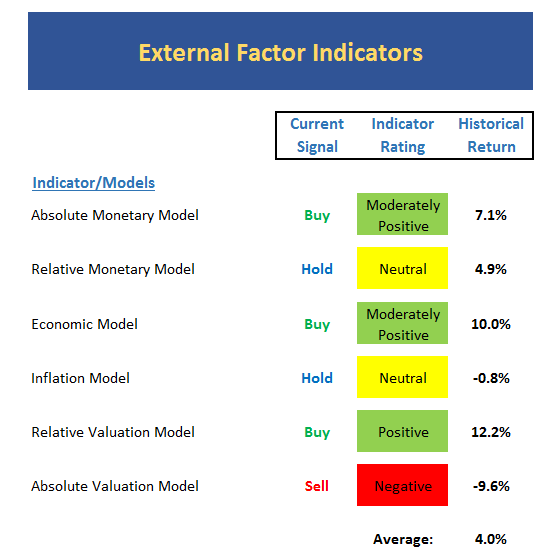 The Relative Monetary model remains in neutral mode but has improved. The improvement is due to the weakness seen in the economy and the lowered expectations for rate hikes in near-term. Overall model reading remains below optimal levels. I.E. Market definitely not hitting on all cylinders. The State of the Tape model is moderately positive. 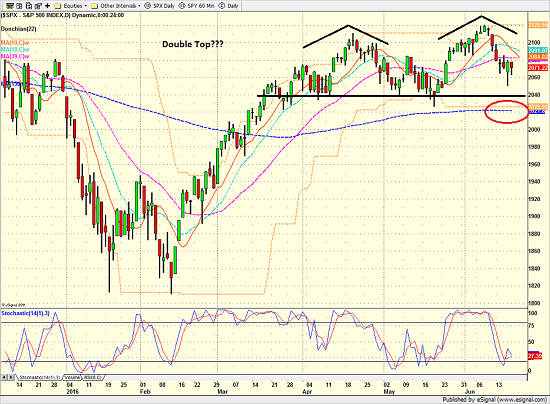 But as I've been saying, I would really like this to be higher if the bulls are to have a shot at a strong move. The big change over last couple of weeks has been the move down in the External Factors model. While the model is still moderately positive, the trend of the model is now down. The good news is there is a lot of green on this board and that the historical returns have been slightly above the historical average. In last week's review, the overall theme was to buy the dip. And unless the Brexit actually occurs, this appears to have been the appropriate strategy. However, it is important to note that this market has very little real momentum, the economy isn't great, and there are a handful of uncertainties remaining. As such, we should probably expect to see stocks continue to "muddle along" until some of the issues/worries are resolved. But make no mistake about my view; I continue to believe that the current sideways action will be resolved to the upside. The key question, of course, is when. 1. The State of the "Brexit"